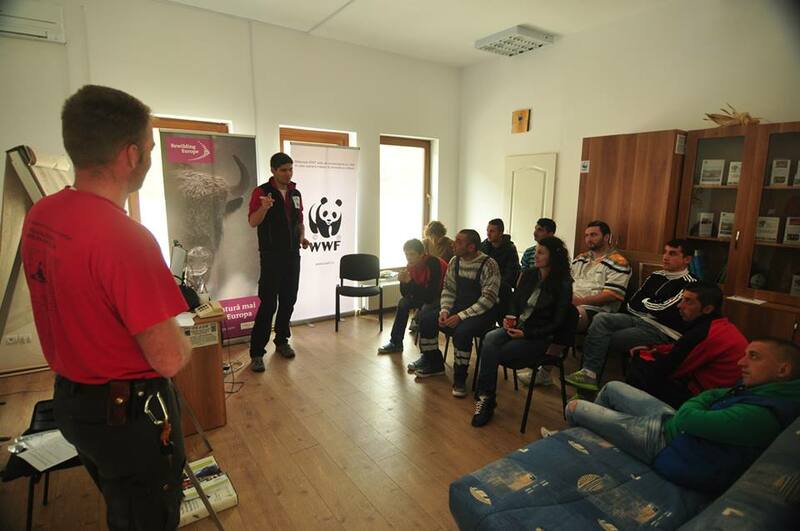 Ten enthusiastic locals from the Southern Carpathians in Romania, participated in the first nature guide training event organised by Rewilding Europe, in April in the village of Armeniș. The two day course Interpretive Guiding, was led by Raoul Kluivers and Machiel Appel, from Voshaar Outdoor (The Netherlands). The idea of the course in Armenis comes from the “Interpretive Guides Association” from Canmore in Canada. Kluivers is an experienced nature guide and trainer with a professional Interpretive Guide certificate from 2010. Raoul’s ambition is to bring this experience to Europe and a complete program for a three level course is in progress. 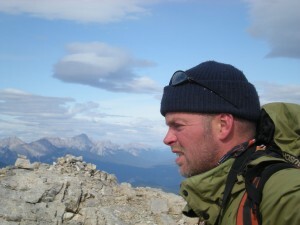 He is also one of the founders of the Wilderness Guides Association which was registered in Finland this spring with the main goal to provide standards for the education of wilderness guides, capable to operate in a wide variety of environments and climates, offering a wide variety of activities. The course in Armenis was the ‘Basic knowledge’ course, the first of the three level wilderness guide training (1. Basic Knowledge; 2. Apprentice Interpretive Guide; 3. Professional Interpretive Guide). Raoul adapted the Canadian IGA course into a course for European wilderness areas, together with Joep van de Vlasakker, wildlife advisor in Rewilding Europe. Although the training was very short, the participants had several lectures as well as more practical exercises like building stretchers with a tarp, poles and jackets (Wilderness First Aid Tricks). On 17 May, 20 European bison will be reintroduced into the Armenis area of the Tarcu mountains. The animals will be brought here from several European countries in the biggest ever bison transport in Europe. Initially, the bison will stay for a while in an enclosure to get adapted to the local conditions. And within a number of months they will be released into the wild. The European bison has a crucially important role for biodiversity, helping to maintain a natural balance between forest and meadow ecosystems in the Carpathian mountains. Besides being a key and flagship animal for the natural ecosystem, it is also an iconic species for regional development in the region, and it has the potential to attract many visitors and to become the new symbol of the region. The bison will, without any doubt, help put Southern Carpathians on the map as one of the most important European wilderness areas. Joep van de Vlasakker will lead the second part of the training, when it takes place later in April, and that course will be oriented towards gaining more practical experience and learning specific info about European bison. These locals trained by Rewilding Europe and Voshaar, will be the first bison guides in the Southern Carpathians. Read here the blog post of Raoul Kluivers about his impressions from Armenis, the soon-to-be bison village.